CHECK OUT MY YOUTUBE CHANNEL FOR FREE LIVE READINGS, LIVE STREAMING, MEDITATIONS, WEEKLY AND MONTHLY MESSAGES. JUST CLICK THE YOUTUBE BUTTON AND YOU WILL BE TAKEN STRAIGHT THERE! Whilst in a state of hypnosis we call upon your soul to guide you into another time and place, another life. The purpose of experiencing a past life is to learn, to grow, to heal, or all three. You will experience and see whatever it is that your soul wants you to see and remember, either to learn from it, or to let it go. Often this will include visiting several past lives within one session as issues can be linked through several lifetimes. All will need to be cleared in order to gain the learning or release. What will you feel emotionally? When you are within another life time, you are fully aware of the situation as it unfolds and know it is you from another life. However, it is as if you are watching it, from the outside looking in. You are detached from it emotionally, almost like watching a video. You know what the person (you) is feeling, but you, yourself, are not feeling it. You can fast-forward the images, re-wind, step into or step away from. It is up to me and your soul to guide that process, painlessly. Past Life Regression is a wonderful tool for healing, as many traumas from past lives can stay with us, effecting our behaviour and patterns in this life. It really is very simple to change this – simply by going back into that trauma and healing the soul energy, you awaken feeling free of the burden. When you experience a past life and the connection with your soul on this level it opens up your conscious awareness to new depths. You will be better able to connect with your higher self and internal self following this experience. Experiencing past lives deepens our knowledge of self and others, bringing old knowledge in from the previous life and happens when it is the right time for you to know and to remember. Your soul and higher self will only enable you to experience that which is beneficial for you on some level, whether it be emotional, mental, physical or spiritual. 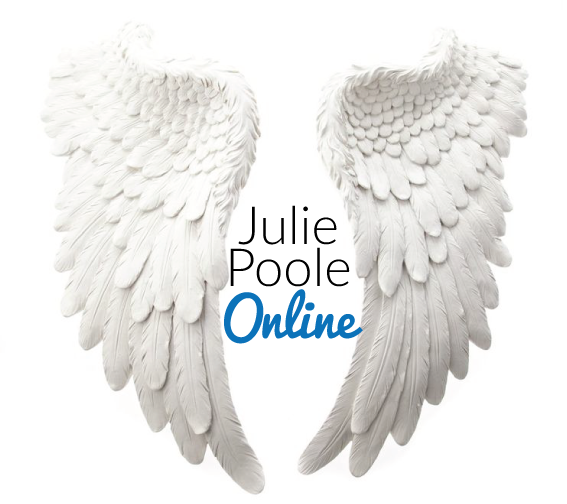 Copyright Julie Poole Online | 2011 - 2018. Website by Kris Jones Designs.